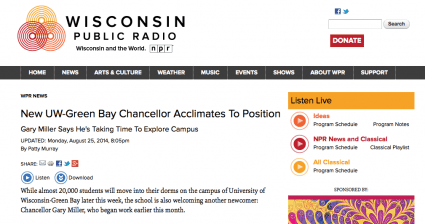 Coverage in the media that relates to the Office of the Chancellor. 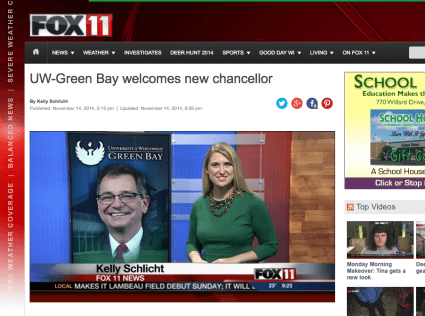 WLUK, Fox 11 education reporter Kelly Schlicht covered the Friday, Nov. 14 installation of UW-Green Bay Chancellor Gary L. Miller, focusing her coverage on his message for the future of UW-Green Bay. You can watch her report here. 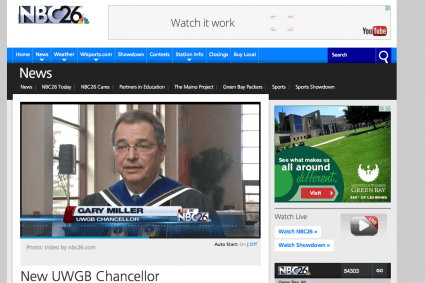 NBC 26 was among the local television stations covering the Friday, Nov. 14 installation of UW-Green Bay Chancellor Gary L. Miller. You can watch the story here. 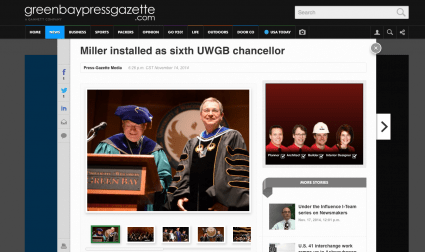 The Green Bay Press-Gazette covered the installation ceremony for UW-Green Bay Chancellor Gary L. Miller Friday, Nov. 14, producing a story, video and photo gallery on the day’s event. You can see all three by clicking here. 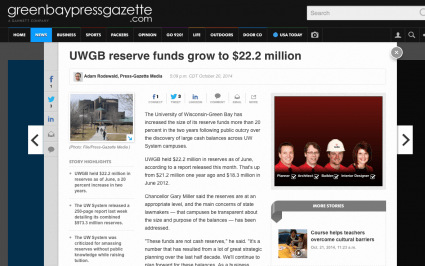 UW-Green Bay Chancellor Gary L. Miller spoke with Green Bay Press-Gazette reporter Adam Rodewald for a story on UW-Green Bay’s Program Revenue fund balances. The story ran Monday, Oct. 20 on page A-1 of the paper. You can read it here. 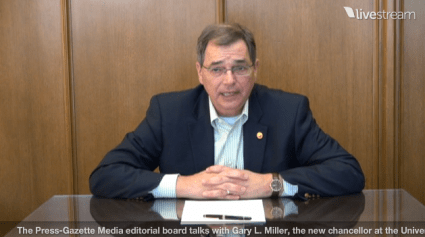 Chancellor Gary L. Miller sat down Tuesday (Sept. 16) with the Green Bay Press-Gazette editorial board, offering his take on a variety of topics during a half-hour livestreamed interview. 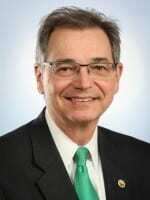 Editorial board members asked Miller for his impressions of campus and community, as well as the challenges and opportunities facing UW-Green Bay and higher education generally. You can watch the replay here. 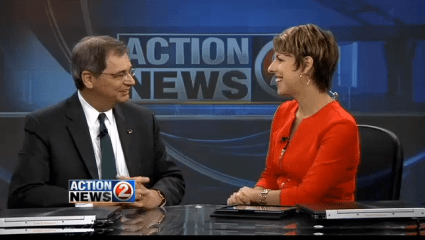 Chancellor Gary L. Miller took to the lunchtime airwaves Monday, Aug. 18, speaking with WBAY, Channel 2 anchor Kathryn Bracho during a live Noon Show interview segment. Miller discussed his background and impressions of Green Bay, plans for the future and other topics during the show. You can view the segment in its entirety online. 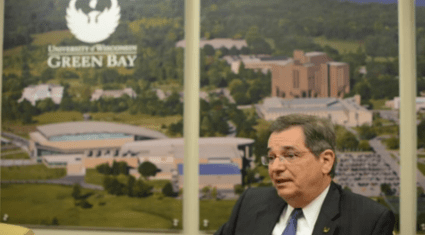 Chancellor Gary L. Miller was front-page news Monday, Aug. 18, when the Green Bay Press-Gazette featured a story on his arrival at UW-Green Bay and plans for the future. 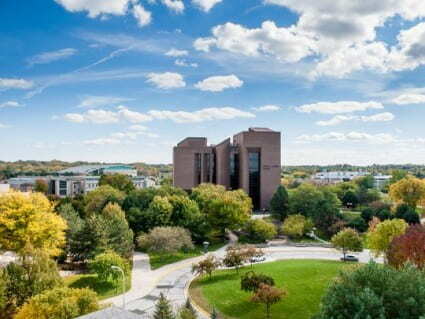 Reporter Patti Zarling and photographer/videographer Kyle Bursaw teamed up to bring the chancellor’s story to readers. You can read the full story, and view the four-minute video, online. 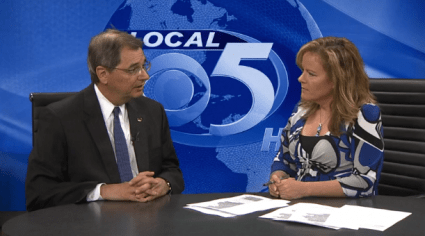 Chancellor Gary L. Miller spoke with Local 5 News anchor Chelly Boutott Wednesday, Aug. 13, discussing his background, plans for the future and more in a live interview during the station’s 4 p.m. newscast. You can watch the full segment online.